A2600 Pitfall II: Lost Caverns (USA) "maximum score" in 09:30.32 by Alyosha. This run is different from the any% TAS in that it does everything necessary to achieve the maximum score. This means avoiding falling down pits (which decreases your score by 100 each time) and following a much longer route in order to obtain all items. Alyosha improves the previous run by 9.11 seconds, thanks to a new trick and better optimisation. Please read the author's comments for more details. C64 C64anabalt (Encore) in 21:25.22 by dwangoAC. 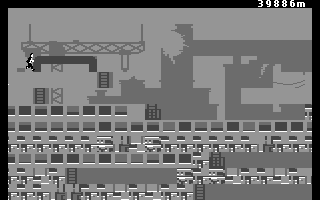 C64anabalt is an official conversion of Canabalt for the Commodore 64 (in cartridge form). Canabalt is the game that defined the endless runner genre. 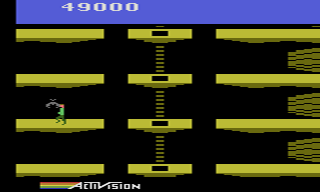 The game controls consist of a single jump button to alter the height of the player's suit-clad character, who runs across a war-torn city at an ever increasing pace. At the incredible speeds reached in this TAS, the building generator can bug out and fail to create sections of buildings. Author dwangoAC had to carefully avoid these bugs in order to successfully run the maximum distance. There are two different versions of this port. This movie uses the Encore build, which includes a faithful port of the original soundtrack to the C64's SID sound chip. 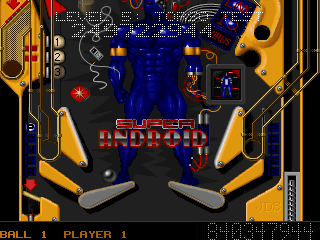 DOS Epic Pinball (shareware v2.1) "Super Android" in 05:07.53 by dwangoAC. This table from Epic Pinball was widely distributed as shareware in the mid 1990s. The stated objective is to "[b]ring the android to life!" The author of this run does just that, maxing out all of the game counters and achieving a very impressive final score. GBA Sonic Advance 2 (USA) in 17:41.1 by Dashjump. Disappointed with good movies where characters move just too slowly? Look no further! In this extremely high-speed run, Dashjump demonstrates how to break the sound barrier and why Sonic is the fastest character in the video game universe. 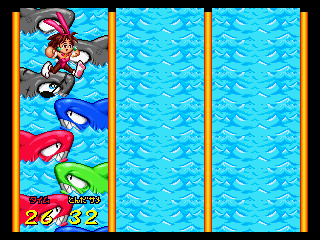 Dashjump's TAS improves the previous run by 25.50 seconds. Individual act improvements are listed in the submission text. The author doesn't collect any of the Chaos Emeralds in this movie, but it demonstrates almost every single move that Sonic is capable of in this game. GB Super Mario Land (any v1.0) in 12:08.75 by MUGG. Aside from Tetris, Super Mario Land is probably the most well-known cartridge for the original Game Boy. It features a marked departure from traditional Mario enemies and themes, including Sphinxes, seahorses, fists emerging from pipes, Egyptian-themed levels, Chinese-themed levels and UFO-themed levels. This publication improves on the previous one by 4.33 seconds from a new trick that allows Mario to warp around the screen on auto-scrolling levels as well as a new strategy used to end the mandatory bonus game after each world quicker. If you enjoyed this movie, be sure to see hard mode. GC Resident Evil 4 (USA) "The Mercenaries: Castle" in 13:44.33 by Ubercapitalist. 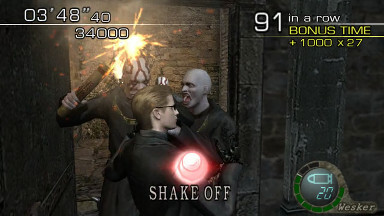 The Mercenaries is an unlockable minigame in Resident Evil 4. It is unlocked by completing the main game regardless of difficulty. 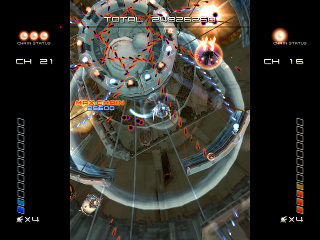 The objective of the game is to kill enemies to earn points before the evacuation chopper arrives in the allotted time. 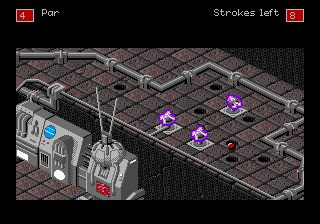 In this run, Ubercapitalist plays through the Castle level of The Mercenaries game mode using Wesker. He obtains the maximum amount of kills and the highest score using multiple weapons and major amount of luck and spawn manipulation. Ubercapitalist explains in great detail his process in the submission text. For those who want to watch the run without all of those item pickups, Ubercapitalist has provided an "Artist's Cut" of the movie here. 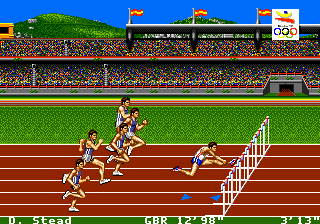 Genesis Olympic Gold: Barcelona '92 (USA) in 10:32.23 by Toothache. 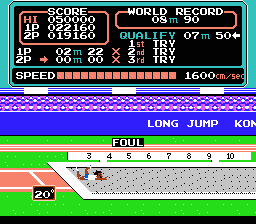 The official game of the Games of the XXV Olympiad, held in Barcelona in 1992. It features seven different events: 100M Sprint, Hammer Throw, Archery, 110M Hurdles, Pole Vault, Springboard Diving and 200M Freestyle Swimming. 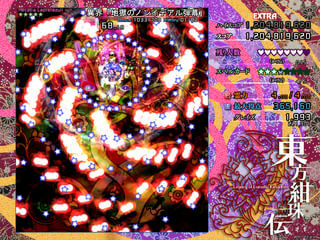 In this playaround, the author, Toothache, achieves the best score or time possible in each event. 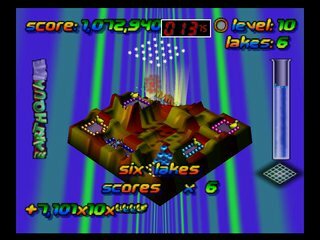 Genesis Zany Golf (USA/Europe,r1) in 02:55.15 by Mukki. You would expect a game of mini-golf to not be particularly interesting to watch, much less a TAS thereof. To put it mildly, zany describes both the TAS and the game perfectly - for mini-golf, at least. Watch as courses covering everything from the classic windmill to a pinball table to a pastiche of Breakout are made to look absolutely trivial by masterful precision in hitting the ball. 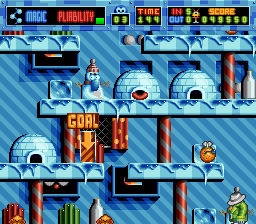 This game is similar to Marble Madness, except that instead of controlling the ball directly, various aspects of the course are controlled instead. N64 Magical Tetris Challenge (USA) "maximum score" in 01:57.38 by PoochyEXE. NES Crash 'n' the Boys: Street Challenge (USA) "best ending" in 08:10.86 by Inzult. 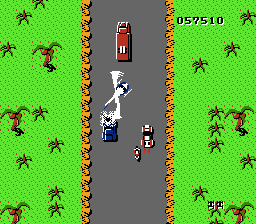 Crash 'n' the Boys: Street Challenge is part of the Kunio-kun series. Kunio is the protagonist of the series and the guardian of Nekketsu High School. 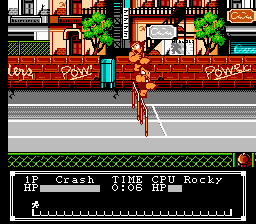 His name has been localized in a variety of ways: "Crash" Cooney in this game, Mr. K in Renegade, Sam in Super Dodge Ball, and Alex in River City Ransom. 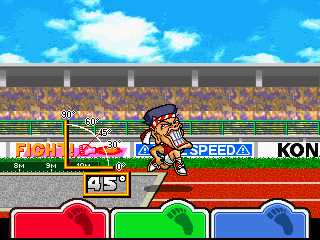 In this game, representatives of the high schools compete in five no-holds-barred events. In this run, GuanoBowl ends all the races early by knocking his opponent out. Rockets are purchased to make the hammer throw go farther and gum is used to help him hold his breath underwater. This run gets the extended ending by winning as Crash's school. In this run, inzult improves the predecessor movie by GuanoBowl by 3:18.55 minutes. 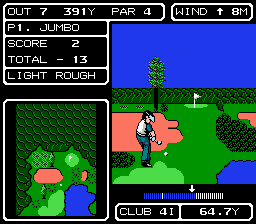 NES Golf (USA) in 04:58.49 by link_7777. 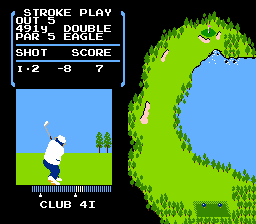 Golf is a sports game developed and released by Nintendo in 1984. As the name of the game suggests, Golf is about playing Golf. 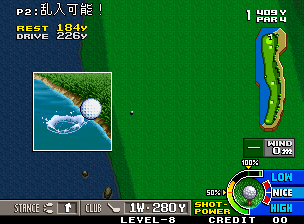 It was the first golfing game to use power and accuracy bars, paving the way for future golfing games. link_7777 completes all 18 holes as quickly and with as few strokes as possible. NES Gumshoe (USA) in 14:43.98 by Highness. Gumshoe is a game developed by Yoshio Sakamoto of Nintendo (known for his work on the Metroid games). 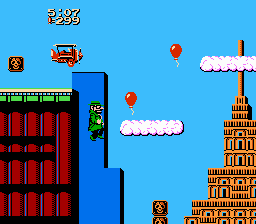 Using the NES Zapper accessory, shoot the enemies and obstacles in the hero's path or shoot the hero himself to make him jump over them on his way to save his daughter from the Mafia. Since the game is an autoscroller, highness aims for maximum kills and score instead of time. NES Mini Putt (JPN) in 06:54.17 by TaoTao. 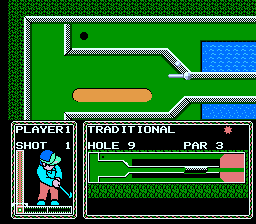 Mini Putt is a miniature golf game originally developed for home computers in 1987. 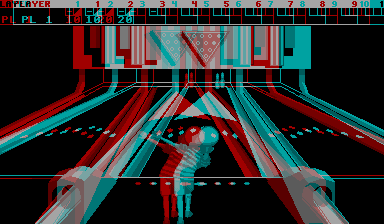 It was later ported to the Famicom. This run by TaoTao doesn't putter along. It blazes through every hole in a very "mini" amount of time at just under 7 minutes. PSX Metal Gear Solid: VR Missions (USA) in 1:36:49.18 by theenglishman. Metal Gear Solid: VR Missions (Special Missions in Europe) is a series of 300 action-packed extra missions for Metal Gear Solid with enough scintillating Snake-sneaking setpieces to last a lifetime. 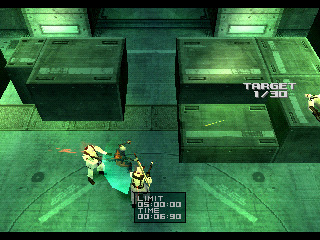 Originally a part of Integral, the 1999 Japanese re-release of the original game, the VR Missions received a standalone release a year later in North America and Europe as an extra bonus to satisfy fans hungry for more tactical espionage action. In the Metal Gear universe, VR serves as a substitute for combat experience, allowing trainees to learn how to use weapons and participate in advanced combat scenarios without having to actually be on the battlefield, similar to the training programs in The Matrix. This concept of artificial or digital training serving as a poor man’s replacement for combat experience (particularly where child soldiers are concerned) has been a running theme in the series. In this run, theenglishman sneaks, shoots, punches and investigates his way past the world leaderboards for each mission, this time skipping the Practice levels using SRAM, that saves him 34:31.71 minutes and makes the run much more entertaining overall compared to the one it obsoletes. SNES Kirby's Dream Course (USA) "maximum score" in 1:09:13.63 by snc. 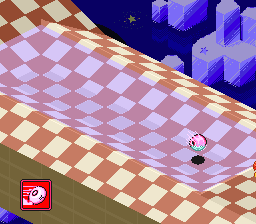 Kirby is a spherical character, so naturally it makes sense that he should be whacked around like a golf ball. A ball that can absorb the powers of enemies and use them to his advantage, of course! This run aims for best score, then fastest time. A lot of hole-in-ones are scored, even at great time expense. Note that there is a second series of courses which are similar to the original set. 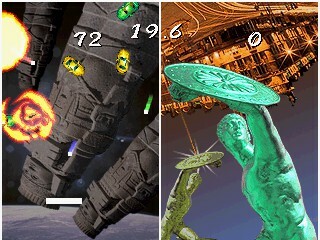 These are played as well for sport, before attacking the final boss and winning. 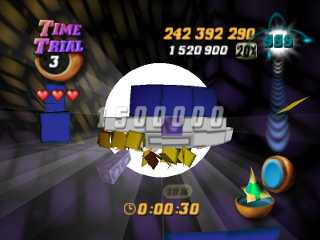 This run is 1:52.25 minute faster than snc's previous TAS. There's no improvement in the number of hole-in-ones, but his secondary goal is done significantly faster! SNES Star Fox (USA) in 19:47.37 by YtterbiJum. 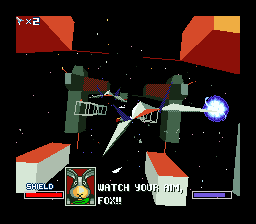 One of those hard-to-emulate games because of the hardware assistance provided on the actual cartridge, Star Fox is a well-known 3D shooter. 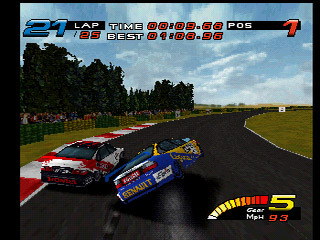 Avoiding obstacles can be tricky on the digital directional pad, so some of the stunts seen are impressive to anyone who knows how hard this game can be. 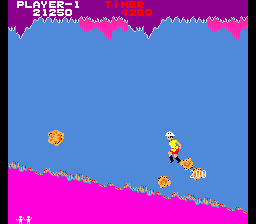 Emulation of this game is not correct. Lag present on the SNES is not represented in this run. Expect the speed to be higher than actually seen on a real console. For this reason, the audio track lags severely behind the rest of the run. 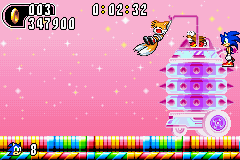 As a result, some of the bosses can be defeated before the boss music begins. SNES Tetris Attack (JPN) in 00:39.2 by zvsp. 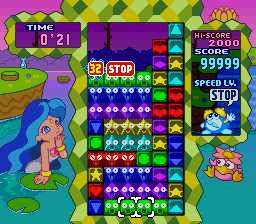 This movie was played on Panel De Pon, the Japanese version of Tetris Attack. The only difference in gameplay between the two versions is how the scoring system works. Instead of doing many combos in a chain as in the US version movie, author zvsp uses a few very large combos to reach the goal about 30 seconds faster, finishing with an ingame time of 0'25. Zvsp also improves the previous run by 1.31 seconds by selecting his character in the optimal way. SNES Tetris Attack (USA) "fastest 99999" in 01:15.38 by zvsp. 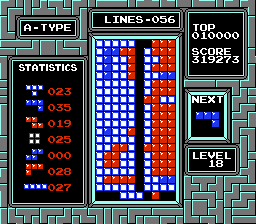 This Tetris Attack movie aims to get the highest score in the shortest amount of time possible. 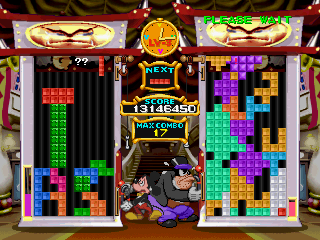 The result is obtained by executing multiple combos simultaneously, building them up to level 13. Combo bonuses are no longer awarded after getting 13 consecutively due to a bug in the game. The level of play is far and above what any human could do in real-time on this game. This is an improvement of 7.88 over the previous movie by the same author, zvsp. He does this primarily by starting each chain with one explosion. 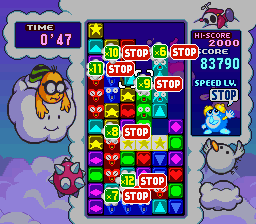 That way, he can explode the saved blocks during the chain, which, thanks to a glitch, gets him around 25000 points for every 13x chain. This allows him to beat the game in four chains instead of the previous five.